Financial Tools – Just like businesses, churches must be financially responsible. Good ChMS products allow the tracking of every detail related to a church’s income. Knowing donation tracking, pledge-tracking, online giving and donor statements are part of nearly every good ChMS’s list of features. Discipleship And Group Tools – Many church management systems have communication and tracking tools for small groups, Bible studies, special interest groups and Sunday school classes. These features simplify communication between church leaders and group leaders. They also allow for communication between group members as well. Quality ChMS products allow for online lists of groups and classes to easily be incorporated into your church’s website. More advanced ChMS companies even offer online discipleship processes from within their software. Churchteams, for example, includes their fully-customizable “Growth Finder” tool. It allows parishioners to complete an assessment showing them areas of personal development and providing resources to help them grow in those areas. Easy-To-Manage-Data – Keeping accurate and up-to-date data is frequently complicated, but a good ChMS can help make it easier. Always look for software that groups people into families, allows individuals to update their own personal data, offers church directories, tracks people who have moved, and captures parishioner photographs. These features greatly enhance data-management. Children’s Ministry Check-In – Without question, every church should have a secure check-in system for their children. Many ChMS systems include children’s check-in software. A good check-in system helps improve security, allows for multiple check-in stations, includes printable name-tags, prevents child-abductions, protects kids from allergic reactions and works on tablets or smart pads. The world is dangerous, so good check-in software is really not a negotiable feature. These are just a few great features you should look for in a church management software. 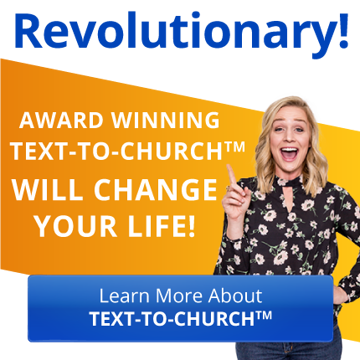 Churchteams is among the best ChMS providers. Churchteams includes the features listed above and many more. The price is right, it’s easy-to-use, has a long track record of success and has the best customer support. Compare ChMS products for yourself and you’ll soon agree that Churchteams is a value you can’t pass up.